Completes a magnificent quartet of short holes. 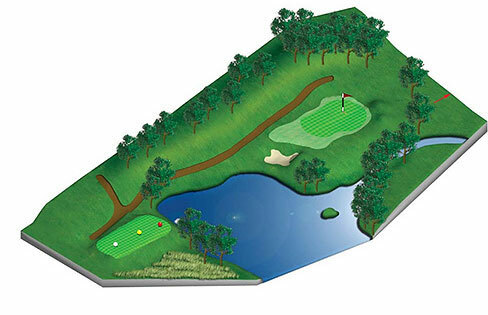 Although only 172 yards long the golfer may just be intimidated by a lake which must be carried. The green sits in a very attractive dell and is protected by a single bunker to the right. This was the course architect's favourite hole.